Jack Kevorkian, known as "Dr. Death", has a new mission to educate people about their rights as citizens after his release from prison. "My new mission is not assisted suicide," Kevorkian, 79, said during his first news conference since leaving prison Friday. "My work is effectively done there. ... I'll do what I can to have it legalized." The retired pathologist claims to have helped at least 130 people die from 1990 until 1998, the year he was charged with murder in the death of a 52-year-old man with Lou Gehrig's disease. He was convicted and given a 10- to 25-year sentence for second-degree murder. He spent eight years behind bars, earning time off his sentence for good behavior. Kevorkian has promised not to help in any other assisted suicides, and could go back to prison if he did. 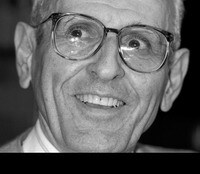 But Kevorkian remains as feisty as ever, insisting on the need for laws to let mentally competent people end their lives with a doctor's assistance. No other U.S. state besides Oregon has passed a law letting doctors help the terminally ill end their lives. Although Oregon's law requires the patient be the one to administer the fatal drugs, Kevorkian said Tuesday that doctors should be allowed give the drugs if the patient is too disabled to do it. About half a dozen opponents of assisted suicide from the group Not Dead Yet held up signs from their wheelchairs outside the office building where Kevorkian held his news conference. "For me, the biggest problem is the stigma he attaches to disability," said Susan Fitzmaurice, 53, who has broken bones in falls and now finds it nearly impossible to stand or walk. "He makes our lives feel like they're worthless. Instead of offering us death, he should be offering us counseling."